Mayo Clinic Doctors Volunteer Their Time to a Free Clinic in Worthington, Minn.
Our Lady of Guadalupe Free Clinic (OLGFC) — a ministry of St. Mary’s Catholic Church — has been operating quarterly in Worthington, Minn. since July 2011, using the chiropractic facilities as well as rooms at the St. Mary’s Church rectory. David Plevak, M.D., from Mayo Clinic has been instrumental in staffing the OLGFC by recruiting his Mayo Clinic colleagues to volunteer their time. 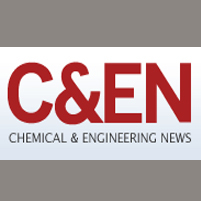 Mayo Clinic has been named as one of the top companies for chemists to work for in the October, 22, 2012 issue of Chemical & Engineering News (C&EN). Also featured were Wyatt Technology, Genomatica and DuPont Crop Protection. These companies, along with Mayo Clinic, all made Fortune’s “100 Best Companies to Work For,” The Scientist’s “Best Places to Work in Industry,” and Working Mother’s “100 Best Companies” in 2012. This week, Frost & Sullivan published a video press release to highlight why Mayo Medical Laboratories received the 2012 North American Frost & Sullivan Award for Competitive Strategy Leadership. Mayo Medical Laboratories received the award based on Frost & Sullivan’s recent analysis of the clinical laboratory market. The video includes perspective from an industry analyst and the brief remarks delivered by Mayo Medical Laboratories Chief Executive Officer Franklin Cockerill, M.D. at the formal award ceremony this summer. The Mayo Clinic Board of Trusteesrecognized three recipients of Mayo Clinic named professorships at a meeting today. Named professorships represent the highest academic distinction for faculty members at Mayo Clinic. Of the three named was Vanda Lennon, M.D., Ph.D., director of the Neuroimmunology Laboratory in the Department of Laboratory Medicine and Pathology and director of the Autoimmune Neurology Fellowship Program in the Department of Neurology. Several members of Mayo Clinic’s Department of Laboratory Medicine and Pathology took home awards from the 2012 American Association for Clinical Chemistry Annual Meeting held last week in Los Angeles. 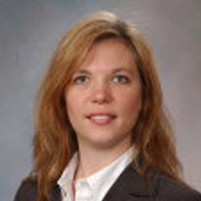 The Proteomic Division of the American Association for Clinical Chemistry (AACC) has named Leslie Donato, Ph.D., of Mayo Clinic’s Division of Clinical Core Laboratory Services, as the 2012 recipient of the Young Investigator Award. 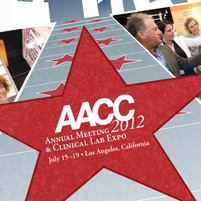 Dr. Donato was presented this award on July 17 during the Proteomic Division meeting at the 2012 Annual AACC meeting in Los Angeles. 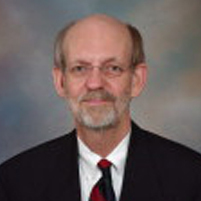 Glenn Roberts, Ph.D., Clinical Microbiology, has been named the 2012 winner of the Medical Mycological Society of the Americas’ Rhoda Benham Award. The Rhoda Benham Award is given to a medical mycologist for outstanding contributions to the field of mycology. 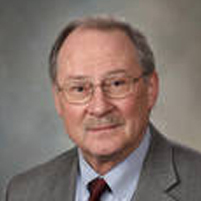 The American Association for Clinical Chemistry has named Thomas Moyer, Ph.D., of Mayo Clinic’s Division of Clinical Biochemistry and Immunology, as the recipient of the 2012 Outstanding Lifetime Achievement Award in Clinical Chemistry and Laboratory Medicine Award. 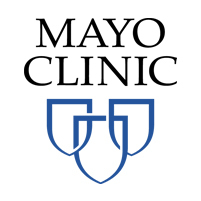 Mayo Clinic has ranked highly among Midwest-based providers in U.S. News & World Report’s 2012-13 Best Children’s Hospitals rankings. 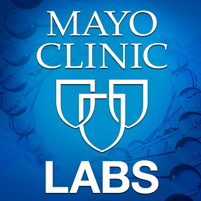 Mayo Medical Laboratories has an extensive pediatric test catalog which supports not only Mayo Clinic’s children’s services, but children’s hospitals around the world. 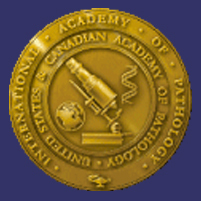 The United States and Canadian Academy of Pathology (USCAP) has recognized Mayo Clinic for its participation in the 2012 USCAP Annual Meeting held in March in Vancouver. Mayo Clinic had the second highest number of first-authored scientific abstracts accepted and was one of the top three programs in the world for number of first-authored scientific abstracts submitted for the Stowell-Orbison Awards Competition for pathologists in training. One of the Department of Laboratory Medicine and Pathology’s histology technicians has received the national spotlight. The June MediaPlanet Supplement to USA Today profiled Donald Hodges, a 51-year-old Histology Technician at the Mayo Clinic in Rochester, Minn., and his mid-career shift from manufacturing to health care. 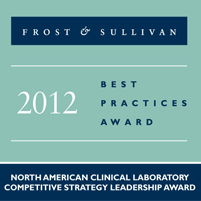 Based on its recent analysis of the clinical laboratory market, Frost & Sullivan recognizes Mayo Medical Laboratories with the 2012 North American Frost & Sullivan Award for Competitive Strategy Leadership. View this article to learn more about the award and read the full report from Frost & Sullivan. Bobbi Pritt, M.D., Clinical Microbiology, and Carol Reynolds, M.D., Anatomic Pathology, have been named the 2012 Teacher of the Year by the Mayo Fellows’ Association in the Department of Laboratory Medicine and Pathology. This award recognizes superior commitment to education, mentoring, patient care and compassion.